Overnight Surf Camp for Teens. 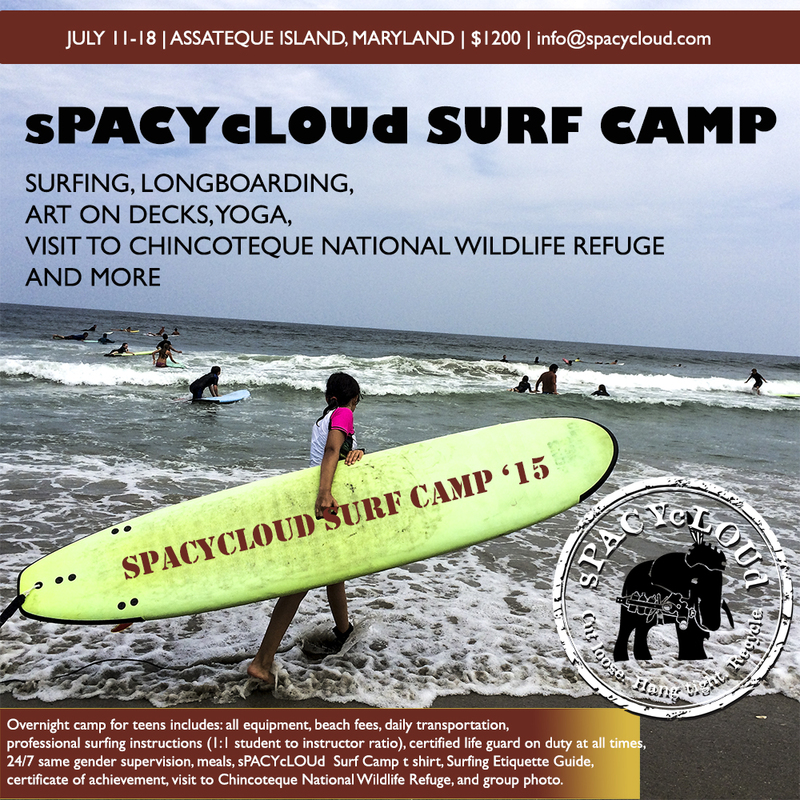 sPACYcLOUd is organizing its first overnight camp for teens. We will be staying indoors in a spacisious house on Chincoteague Island. We are looking for artistic, independent, motivated, and good natured teens. This is a great opportunity for teens to surf, longboard, share, do yoga, art and fashion projects, spend time with like minded individuals and have fun. For the first session we are planning to have 6-8 teens. This entry was posted in BLOG, Events and tagged art, beach, camp, fashion, longboarding, ocean city, skate, summer, surf, surf camp, yoga. Bookmark the permalink.